Is it too late to write about ficus lyrata? 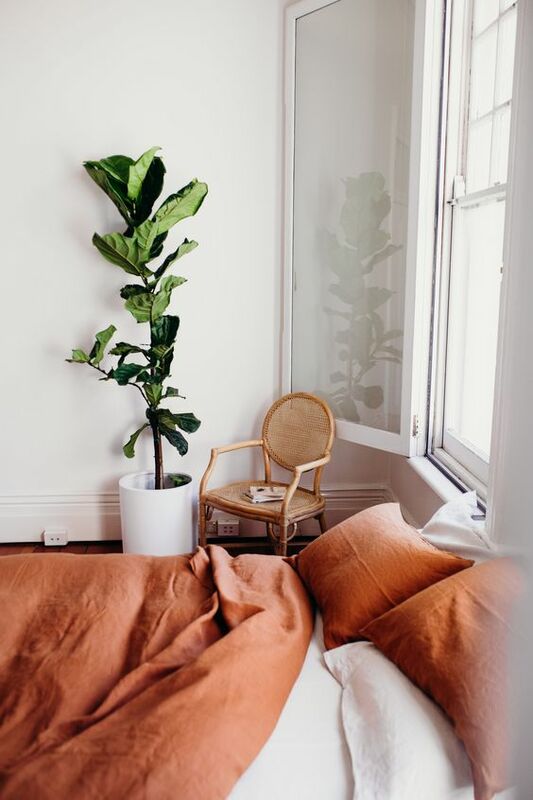 Bohemian plant ladies have been using fiddle leaf figs to fill higher spaces for maximum green impact. This toughie adapts easily to most interior conditions and can grow to 6 feet or taller. Learn how to properly care for one and get with the program, already! First, learn about proper Feng Shui-approved plants and why rounded leaves are best for indoors. 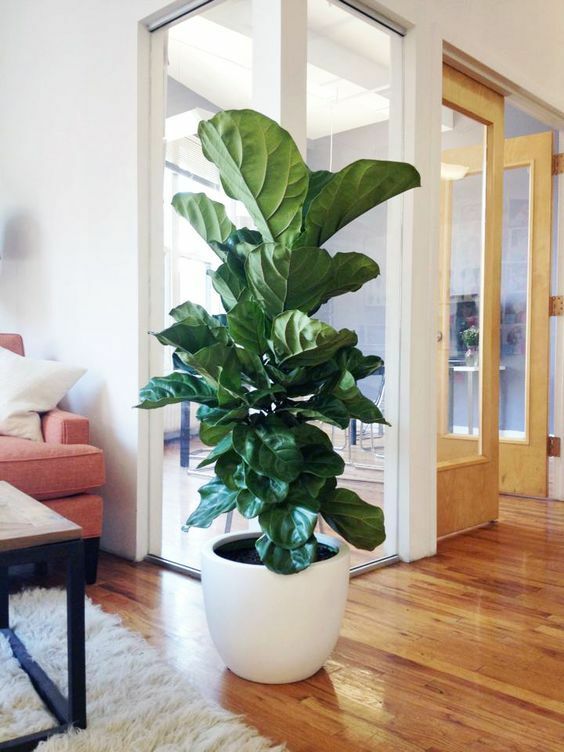 The wide, upward-growing nature of fiddle leaf figs make them very positive chi enhancers. 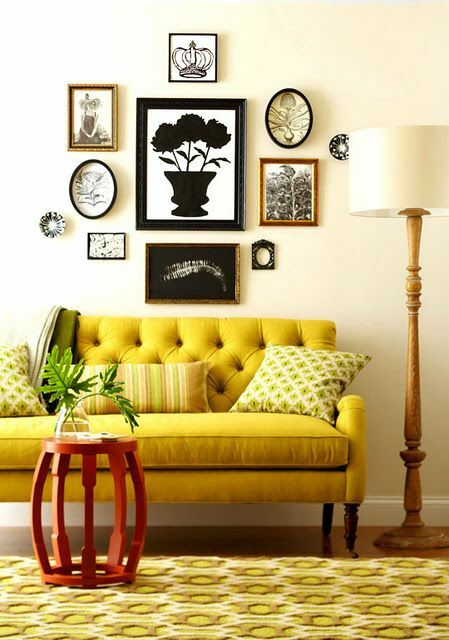 Place one in an empty corner to help healthy energy circulate around the room. When implementing Feng Shui into your home, it’s also important to think about how to use the five elements. 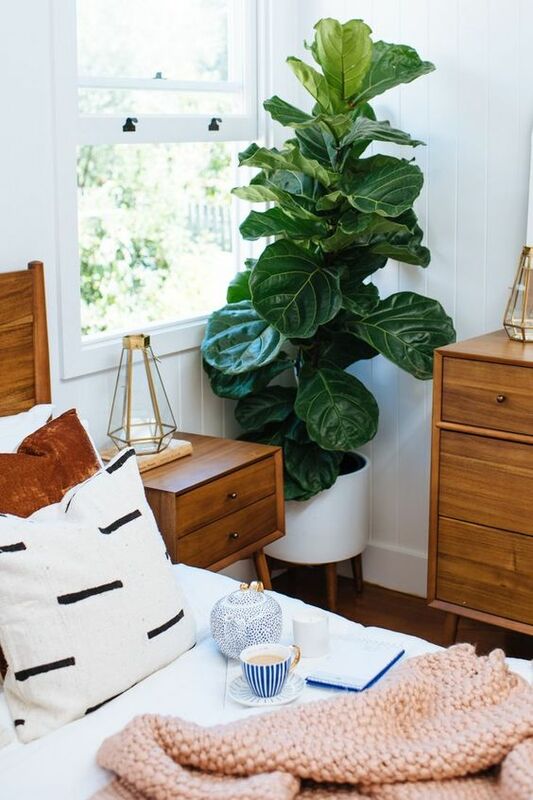 Large, healthy fiddle leaf figs are a terrific way to add the wood element to any room. The wood element promotes personal growth and thrives in abundance. 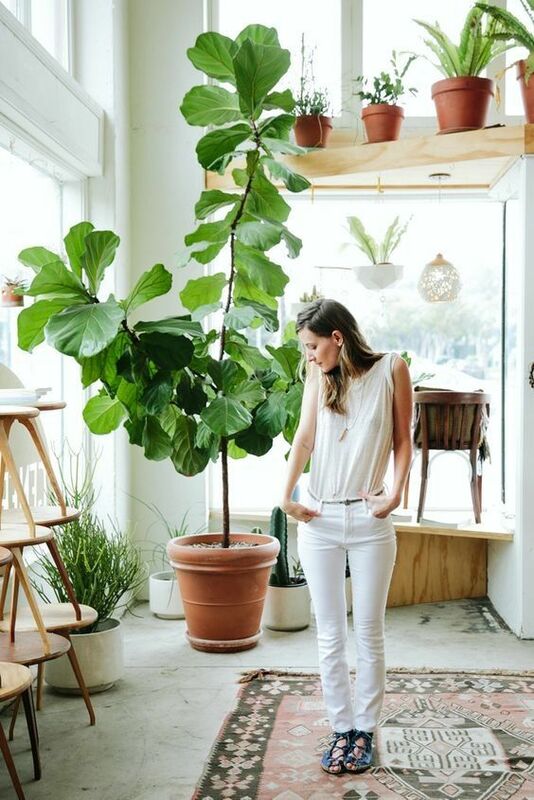 If you have a taller plant, consider adding it to the Family center of your home. 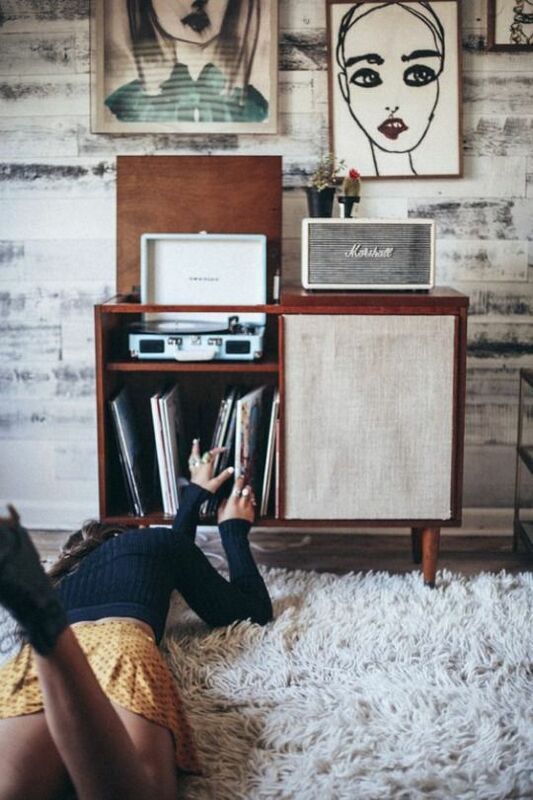 Another thing to watch for in your home is sharp corners. 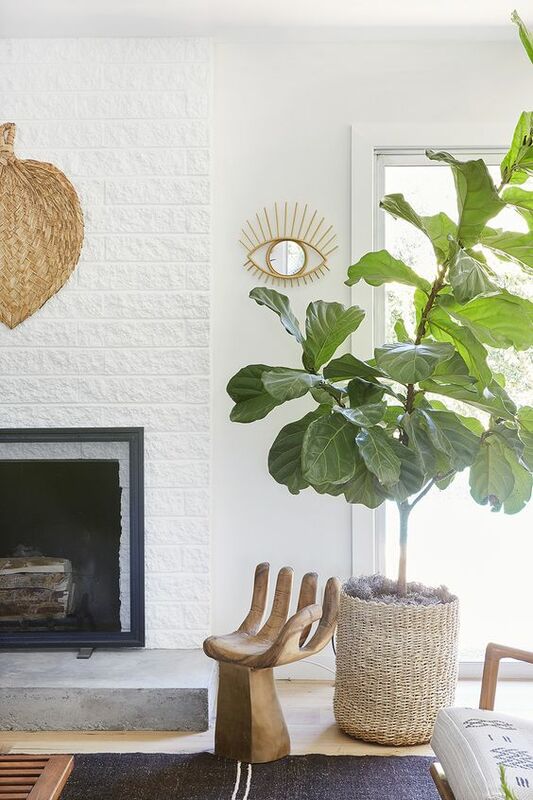 Add fiddle leaf figs in front of corners to help soften the energy and round out the look. 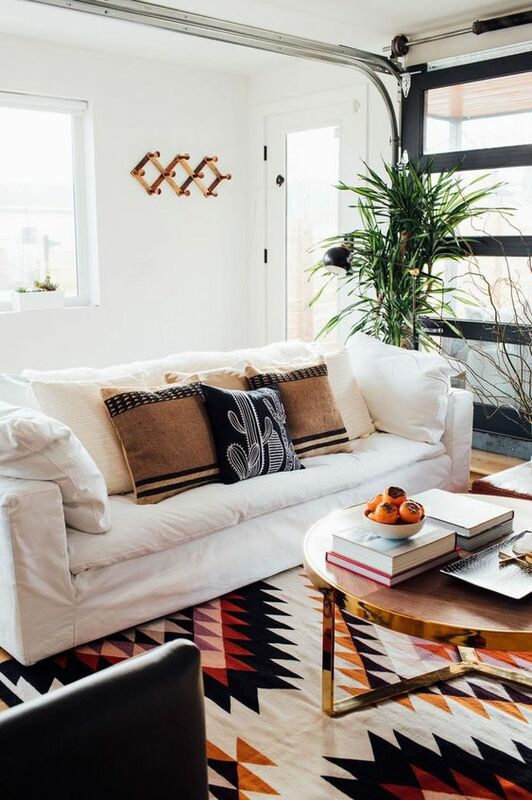 The result is a softer, Bohemian vibe and relaxing atmosphere. Look by staircases and entryways, where the plant can take up room and welcome visitors. When caring for your plant, the first think to think about is the amount of sunlight it is exposed to. Fiddle leaf figs prefer bright, indirect light. Place yours by a sunny window that doesn’t get direct rays streaming in and rotate it every few days. 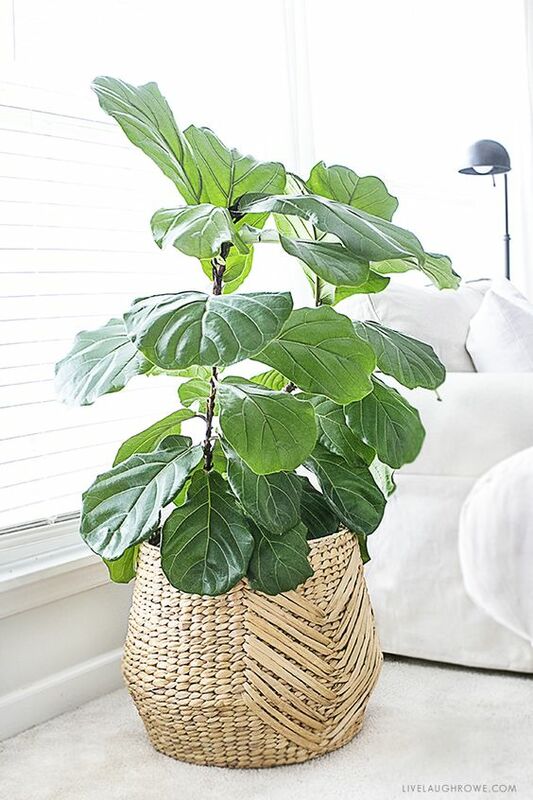 A simple plant plays an important part when using minimalism in your decor. Give your bedroom a French country vibe with a slender plant, a caned chair, and some luxurious linen bedding in rustic color. The biggest trick to keeping your plant healthy is to learn how much (or how little!) water it needs. 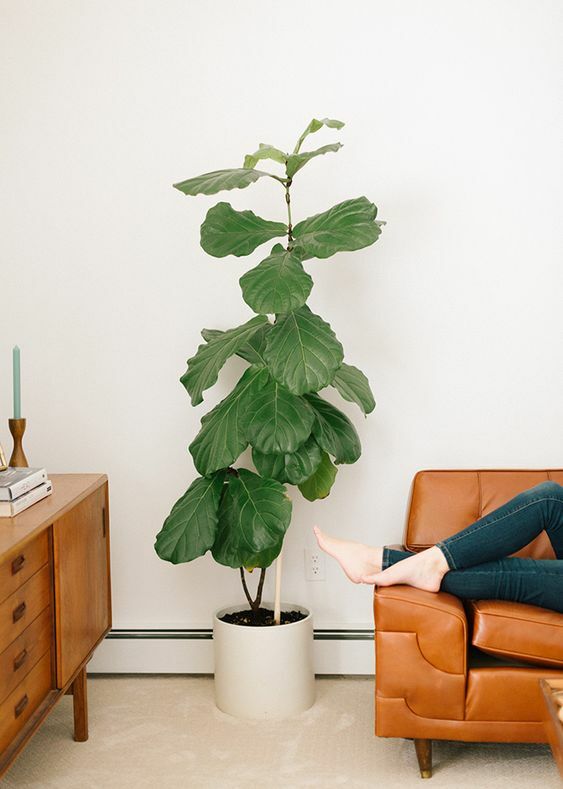 Generally, fiddle leaf figs don’t like drafts, soil that is overly wet or dry, and they love misting. Do yourself a favor and purchase a soil moisture tester to take the guesswork out of watering. Wipe down the leaves with a soft, damp cloth to remove dust as needed. If your plants starts to look less than perfect, don’t throw it out. 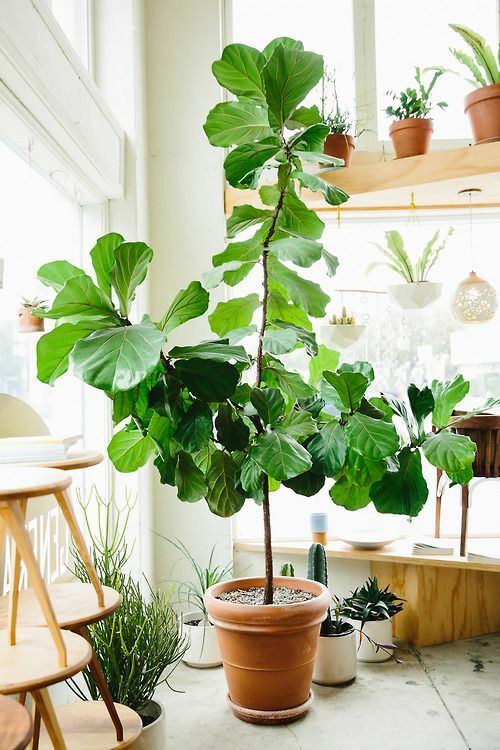 Instead, chopping off the top of fiddle leaf figs encourages new, healthy growth. These amazing plants grow from the top of their trunks and a trimmed one can sometime sprout new branches and be a little bushier. Work with your plant however it decides to grow – a tall, spindly one looks just as good as a shorter bushy one.